Esikhotheni, (pronounced “ss-khot-hen”) Zulu for “In the Sticks” is by no means primitive and untamed as the name would suggest. Comfortable and elegant without being fussy, Esikhotheni Lodge celebrates tranquil charm, surrounded by untouched African bush, on a stunning hilltop location overlooking the shimmering Jozini Lake. Superior accommodation is offered in 7 en-suite chalets, positioned for optimum privacy all have private patios with magnificent magnificent views. 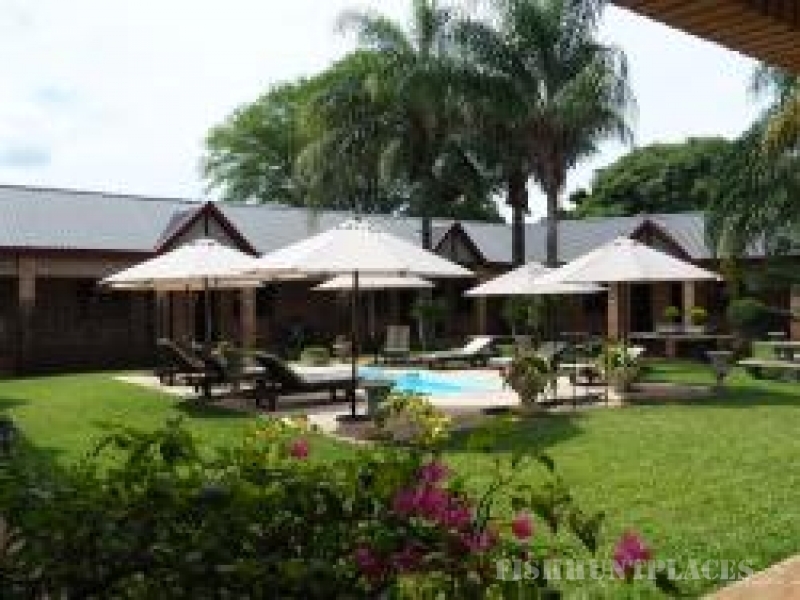 The bathrooms are very spacious with large showers and raised oval baths with clear views of the lake. Our Honeymoon Suite is designed with the more romantic guest in mind, with a private Jacuzzi set on an extended deck in the bush. 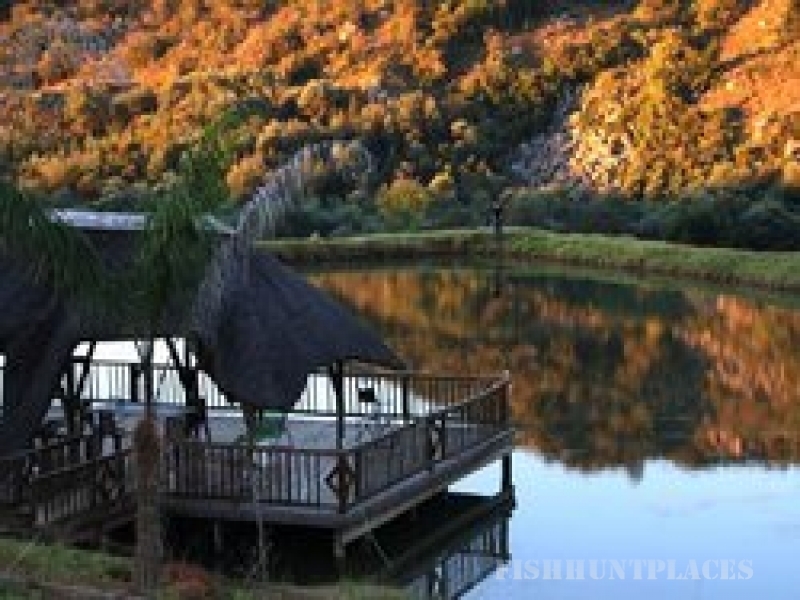 Esikhotheni is the ideal venue for that very special and unique bush wedding! The chalets all have air-conditioning, mini bar with tea & coffee making facilities; luxurious bath essences, lotions etc for your pleasure & comfort, hairdryers and electronic mini-safe for safe keeping of personal items, money etc. Cheerful and unobtrusive staff will welcome you and add to your memories of your stay at Esikhotheni. For them, going the extra mile is not an effort, but a joyful habit. Each afternoon guests enjoy scrumptious “high-tea” – a selection of mouth watering sweet and savoury treats before embarking on the sunset activities.